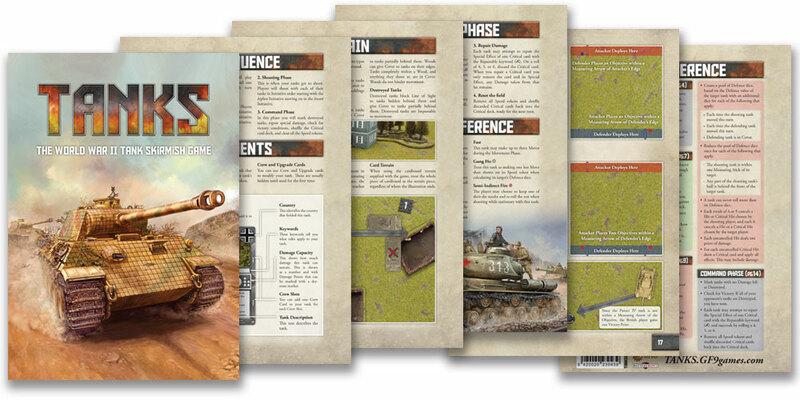 When designing Cautious we drew inspiration from the American Tank Destroyer doctrine of Seek, Strike and Destroy which emphasised mobility and speed over heavy armour. 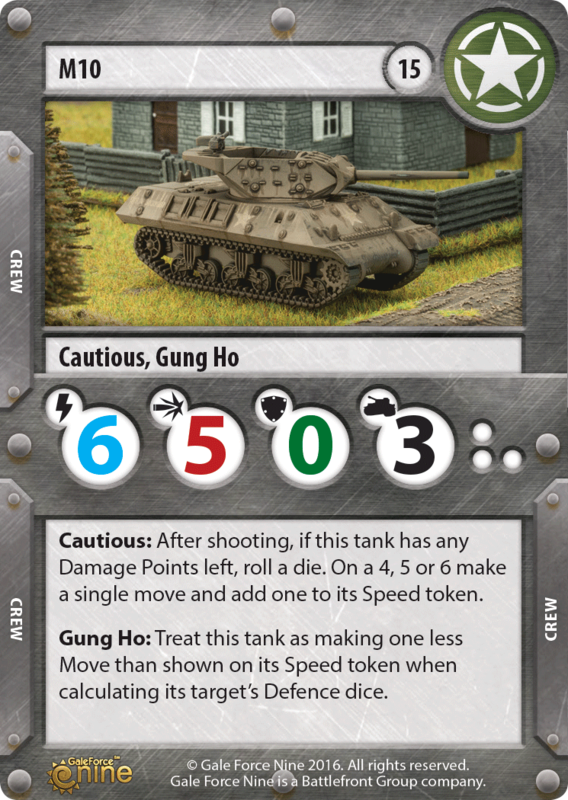 Cautious: After shooting, if this tank has any Damage Points left, roll a die. On a 4, 5 or 6 make a single move and add one to its Speed token. So after a Tank with Cautious fires and passes its test it gets to make an additional move. 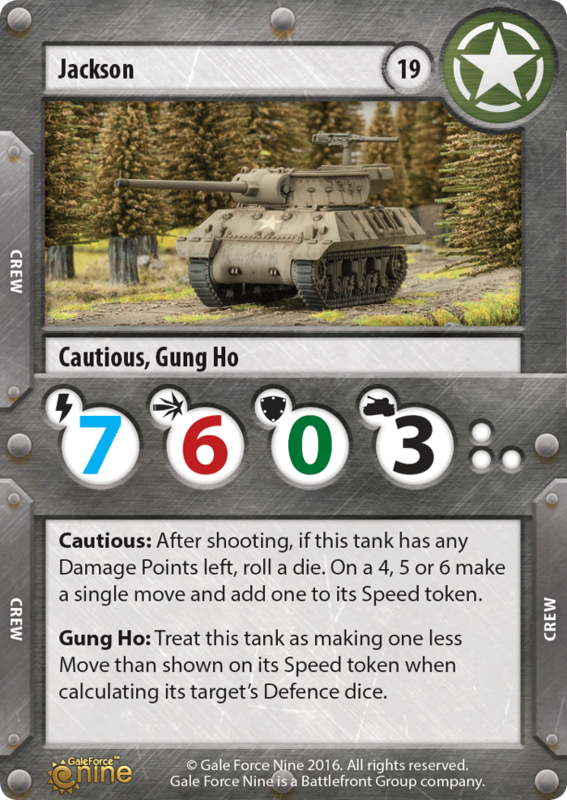 This increases your movement token also gives the Tank added defence without the shooting modifier. This extra movement can allow the tank to move out of sight or into cover, giving these tanks a measure of extra survivability as it is a bit of a glass cannon. But Cautious is a gamble, you have a 50/50 chance of being stuck where you were, without gaining any movement or defence. 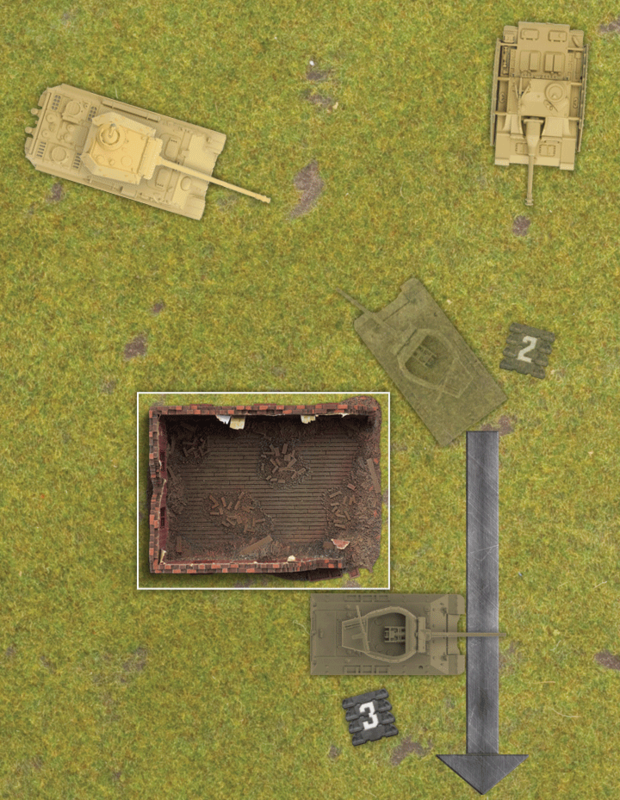 So it is still important to move the tank somewhere that gives it cover in case you fail your roll. 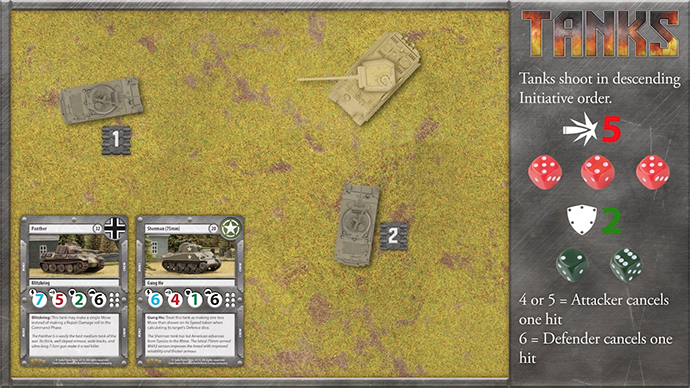 Playing against a tank destroyer force will be tricky as they will be hard to pin down. 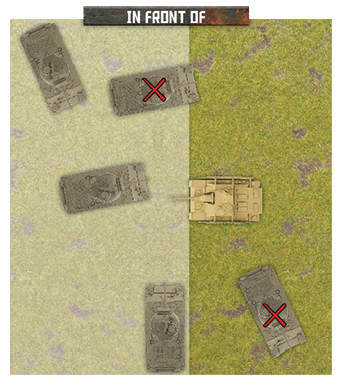 A good tactic will be to spread out your tanks to make sure you can guarantee that one of them will be able to shoot at all times.The relatively low base defence and hull points means that most Cautious tanks will go down pretty quickly once you start firing at them.